Shahidah graduated from the National University of Singapore in 2012 with a Bachelors of Science Degree in Nursing. She always had an affinity to the waters having grown up on an island. In 2014, she took her Diving Open Water certification and let’s say it like this, the rest is history. 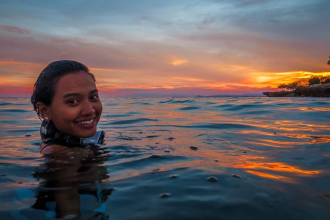 Shahidah eventually went on to further her diving training on the island of Koh Tao, Thailand where she met like-minded individuals keen on protecting the marine environment. 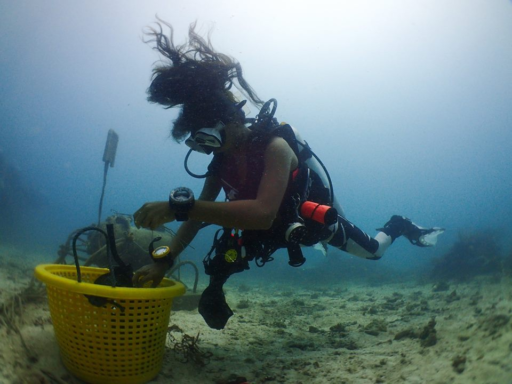 Her passion for this cause grew the more she spent time learning with the New Heaven Reef Conservation Program. Two years ago she attained her PADI Divemaster certification and subsequently her PADI Dive Instructor certification. In 2017, Loop Abroad hired Shahidah to help give a ground hand for their vet students on Koh Tao. This will be her 2nd year now working for the organization.